Here at Anglian we concentrate on carrying out beautiful home improvements for our customers all year round. Over the next couple of weeks we’re running a competition that puts the focus on the seasonal improvements you and your families are making in your homes with decorative displays inside and out! Our Home for Christmas competition launches today and will run for two fabulously festive weeks. Forget a partridge in a pear tree or five gold rings, over the coming days we invite you to send us photos of your decorating efforts in and outside of the home. On the closing night (17th December) our celebrity judging panel will be picking out their favourites. 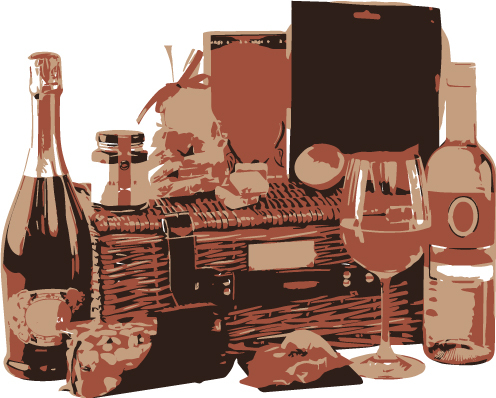 Win delicious Christmas food and wine goodies! The winning entry for each category will find their Christmas creativity rewarded with a fantastic festive gift of seasonal indulgence food and wine treats worth £80 for all the family to enjoy. So you could be settling down in front of the fire to enjoy cakes, cheeses, meringues, crisps, wines, mince pies, chocolates preserves and pickles galore! You can increase your chances of winning by entering all three categories, but please only submit one photograph for each. The judges will be looking at the overall impact of the seasonal improvements and awarding marks for creativity, festive ambience and fun! It might be that you want to show off your amazing window light display or inspire us with a handcrafted wreath hung in your conservatory – let your creative juices flow. And, when it comes to Christmas Gardens, anything goes as long as it adds a bit of festive spirit outdoors. You could decorate an existing garden tree or create a Christmas hanging basket, the choice is yours. We’ll be displaying all the entries here on the site as they are sent in and via our social media channels, so don’t forget to check back and watch the wintry wonderland unfold. Make sure you keep an eye out here on the blog and our social media pages on 18th December as we’ll be announcing the three winners and will need to know where to send our elves to deliver the prizes to you! Home for Christmas Terms and Conditions.